As Professor John Raftery steps down as Vice-Chancellor of London Metropolitan University, he reflects in a new HEPI Policy Note – A University Turnaround: Adaptive Leadership at London Metropolitan University, 2014 to 2018 – on the measures he took during his time as Vice-Chancellor (2014-2018), which helped to transform the University from a struggling institution to one with improving scores in all key performance areas. One of Raftery’s proudest achievements is the University’s social mobility mission, which has helped to change the lives of tens of thousands of students from Black, Asian and minority ethnic backgrounds, often from deprived areas. This has largely been down to the University’s success in improving employment outcomes: the most recent figures show that the proportion of graduates from London Met finding highly-skilled ‘graduate’ jobs has increased by 56%, while 96.7% of graduates are in work or further study within six months. London Metropolitan University is now ranked second in the country for social inclusion, with 96.5% of students coming from state schools, according to a recent ranking by The Times. an intensive interactive communication effort with the University community. This was underlined by a requirement for all new staff to show they were prepared for the heavy lifting work of turning around the organisation. Raftery helped the University become more transparent through more effective communication approaches, such as holding frequent ‘town hall meetings’ and consultations with staff and stakeholders on a broad range of topics. A staff survey in 2017 showed improvement on all indicators compared to 2014, with the exception that staff felt their roles had become ‘more demanding’. While the University had faced difficulties between 2009 and 2012 that led to reputational issues, a fall in revenue and staff cuts, the University has for some years been consistenly improving and is now on course to be an organisation fit for the challenges of today’s higher education. By focusing relentlessly on improving student outcomes, the University has seen students from the most deprived backgrounds gain access to unique educational opportunities and allowed them to build their networks, enabling them to get ahead. Two-thirds of London Met’s students are from Black, Asian and minority ethnic backgrounds and nearly seven in ten come from homes in the top 20% of the official index of multiple deprivation. Over the last four years, the number of London Met’s UK-based students entering highly-skilled, well-paid (“Graduate-level”) jobs has increased by 56% – this growth puts us in the top five in the sector. It is in the interest of not only local communities, but the national economy that London Met helps its students make the best use of their qualifications. In his paper, Raftery sets out his vision for the future of the University unveiling the launch of two new businesses, London Met Apprenticeships and London Met Global Online (LMGO). The latter will offer bite-sized skill certification, alongside traditional modules, that directly links with a student’s LinkedIn profile so employers can see the credits that students accumulate in 21st-century job skills. The plan envisages 4,000 to 5,000 students doing online postgraduate courses and over 1,000 Higher Apprentices in four years. 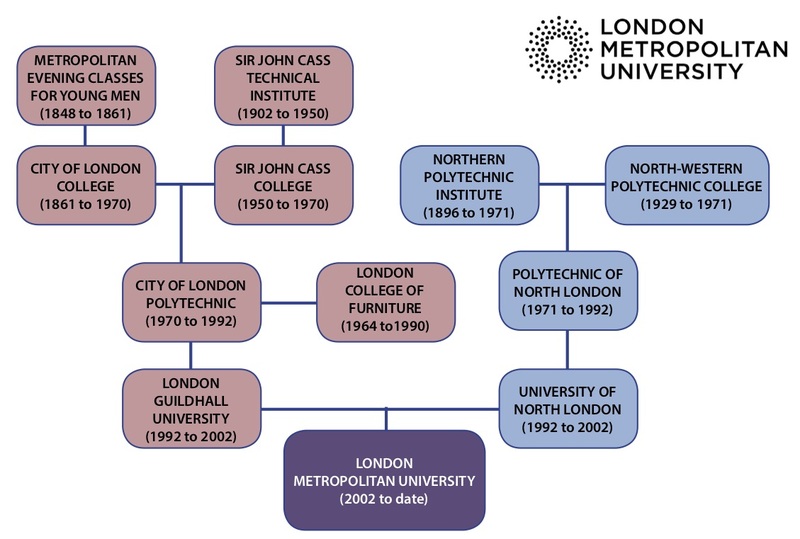 The turnaround since 2014 at London Metropolitan University is an illustrative example of what is possible when a university “gets a grip”, taking both ownership of its past and responsibility for its future. Raftery has just handed over the position of Vice Chancellor to Professor Lynn Dobbs. Dobbs was previously Deputy Vice-Chancellor and Provost at the University of Roehampton and has a strong track record of improving student outcomes. A few years ago, London Met’s very survival was in question. Under attack from the Home Office and other regulators for past errors and with low staff morale, no one would have bet on it thriving by 2018. But that is exactly what has happened. It is now a smaller organisation but it is delivering more for its students, most of whom come from non-traditional backgrounds. The tale reveals that failure is not inevitable and that good leadership, loyal staff and committed students are the key to success. Institutional failure somewhere within our university system is more likely than at any point in living memory. Others need to listen and learn from the fall and rise of London Met before it is too late. ← Targeted Tuition Fees: Is means-testing the answer?